I have an irrational love for vocal harmonies. An absurd love, really. When two or three human voices mesh to create chords, that is the epitome of beauty and purity to me — I’m serious. I maintain that this is the greatest moment in music, even though I’ve been laughed at for saying so. The Beach Boys were probably the best in the business when it comes to harmonies, but in many cases, the Beatles were just as amazing. Well, not Ringo really. 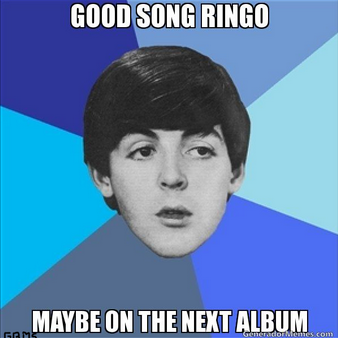 Sorry Ringo. A huge factor in their signature sound was John Lennon and Paul McCartney singing together in harmony, with George Harrison occasionally getting in on the action to add a third part. Those three could blend their voices in spectacular fashion, but they also had the songwriting chops to put that ability on full display. 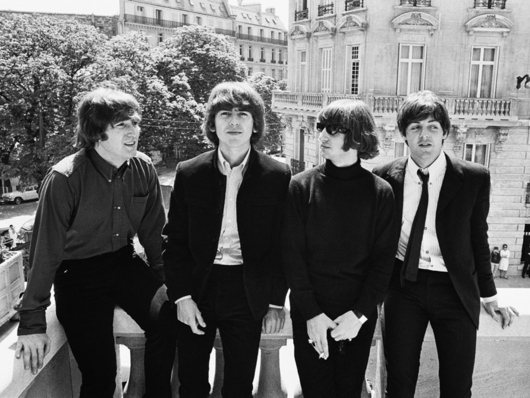 I decided to come up with the 10 songs that best capture the Beatles’ harmonizing. To be clear, these rankings are based specifically on the role that the vocal harmonies play in the songs. 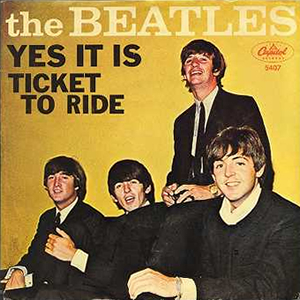 The criteria include, but are not limited to: the ease at which John, Paul, and (usually) George’s voices blend; the nuance and complexity of the vocal lines, as well as the group’s ability to execute them; the difference that the harmonies make in augmenting and improving the song; and the overall goosebump-causing, “this-is-incredible” factor. Sounds like an intense rating system, but let’s be honest, I mostly just focused on the goosebump-causing one. Quick Honorable Mentions go out to “Paperback Writer”, for its opening 6 seconds of harmonic joy, and “Baby’s in Black”, for its solid John/Paul two-part harmony. And now, on to the top 10! This selection may not be as readily obvious as some of the other choices on this list, since this Lennon masterpiece isn’t really known for its harmonies, but listen for those subtle vocal touches. They make an incredible song even better. “I love you-woo-woo-woo-woo.” This Please Please Me deep cut is proof that even in the beginning, the boys were perfectly in sync. The Beatles were throwing around random Spanish words long before Troy and Abed (with some Italian and Portuguese for good measure). John said, “We just started joking, you know, singing ‘cuando para mucho.’ Paul knew a few Spanish words from school, you know. So we just strung any Spanish words that sounded vaguely like something.” And their harmonies while doing it are incredible, as per usual. The a capella opening to “Nowhere Man” is so striking! I love it. I have stated that “It’s All Too Much” is the Beatles’ most underrated song. Well, “If I Needed Someone,” another George composition, comes in a close second as far as under-appreciated songs are concerned. The whole thing is great, but it attains an even higher level when they get their second wind after the bridge at 1:22. They get in a zone and really lock into Ringo’s steady drumming. This is my sister’s favorite Beatles song, and I have no arguments here. You can hear the joy emanating from every line. And, as a bonus, here’s a take of John and Paul messing around while trying to record the song. When “This Boy” was released, that was the moment when the Beatles entered the harmony big leagues. This was the first manifestation that John, Paul, and George could really pull it off. And by the way, John doesn’t do too badly singing the chorus by himself. Two heads are better than one. Three-part harmonies are better two. That’s just how it is — usually. However, “If I Fell” — with just two parts — is amazing enough to hang up here with the three-parters and land in the top 3! This is Lennon and McCartney doing what absolutely they do best. “Yes It Is” was so close to being #1. The intricacy and nuance of the three vocal parts, with all its gorgeous dissonance, is incredibly compelling. This is one of those instances where the harmonies augment and improve a song immensely, as per my previously mentioned criteria. John actaully insisted that “Yes It Is” was crap, saying that he tried to rewrite “This Boy” only to have it turn out badly, but he was just plain wrong. Not only does “Yes It Is” show, on a purely technical level, the complex chords swirling around John’s head, but it is also succeeds at being heartbreaking and amazingly beautiful. That goosebump-causing, “this-is-incredible” factor I was talking about? Check. Times a million. Really, how could anything beat “Because?” John, Paul, and George all recorded each of the three vocal parts and put them all together, effectively creating nine voices, but you wouldn’t believe it based on how well they execute it. The way their voices blend together is stunning, capitalizing on their years of growing familiarity with each other. As a prominent cut on the Beatles’ calling card Abbey Road, it showed John, Paul, and George putting aside their differences (albeit briefly) and coming together one last time to blow our minds. If you think that was good (or, on the contrary, if you’re not a big fan of that harpsichord), then listen to the version below. It’s just the vocals. I dare you to not be blown away. It’s even better than the original version. I’m a sucker for harmonies and I’m a sucker for the Beatles. So when you combine the two… game over. Related post: Float Down Stream: The Beatles are Now on Spotify!